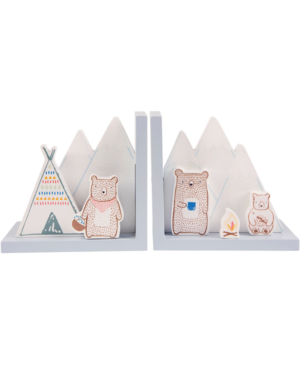 These adorable Bear Camp Bookends feature fabulous illustrations with exquisite detail. 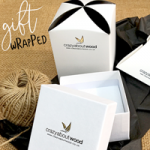 To the left hand side there’s a wonderful igloo shaped tent with mummy bear whilst to the right you’ll find daddy bear and baby bear by the camp fire – a scene that’s sure to capture the imagination of boys and girls with a sense of outdoor adventure. 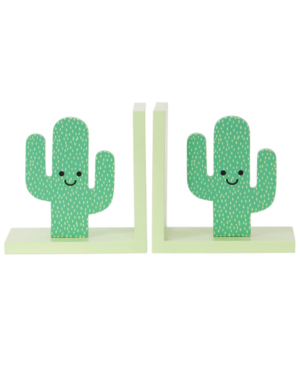 These Happy Cactus Bookends are fun and full of character, featuring lovely contrasting shades of pale and vibrant green. 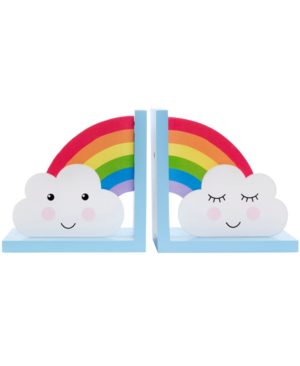 These fabulous Rainbow Cloud Bookends are bright, cheerful and ooze playful character. 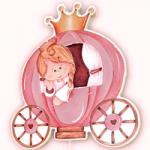 From the vibrant colours of the rainbow through to the wonderfully illustrated expressions on each of the fluffy clouds they’re sure to make a charming addition to any bedroom, playroom or living space. 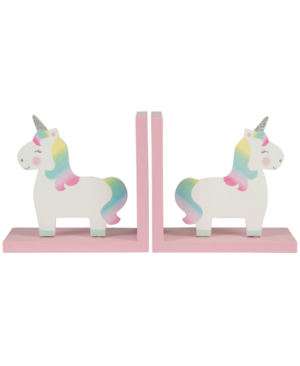 These Rainbow Unicorn Bookends are simply gorgeous. 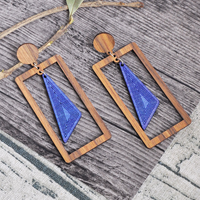 Incredibly popular with fans of this wonderful, mystical creature, they’re the perfect addition to a unicorn themed bedroom. 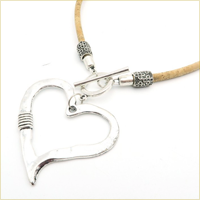 Pretty pastel shades are abundant, alongside sparkly touches, which add to the magic and inherent ‘feel good factor’! 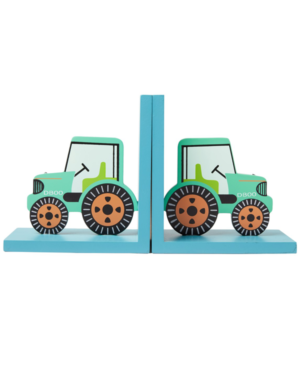 These tractor bookends are bound to be a big hit with fans of farmyard and transport themed bedroom accessories. 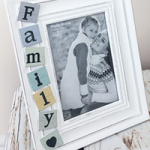 From a practical point of view they’re perfect for propping up favourite bedtime stories, but perhaps more important to young ones, they’re vibrant, fun and full of character.